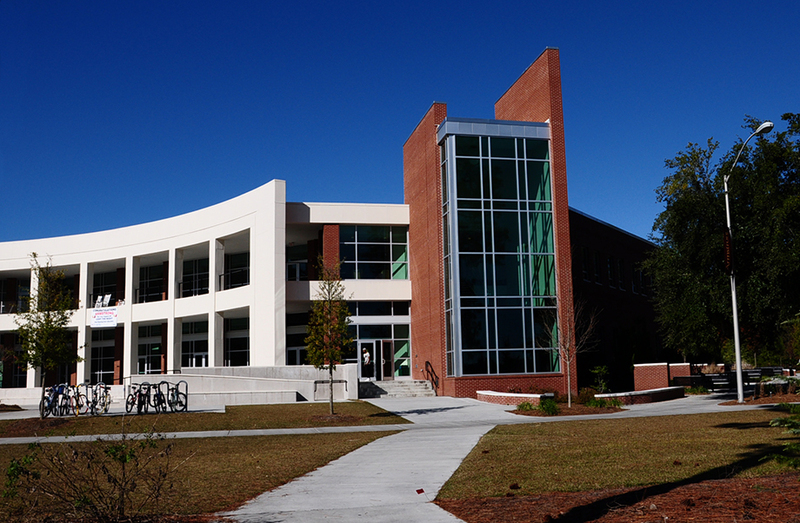 The personnel of Chatham Engineering provided professional engineering services for electrical, HVAC, plumbing and fire protection for the new Student Success building. 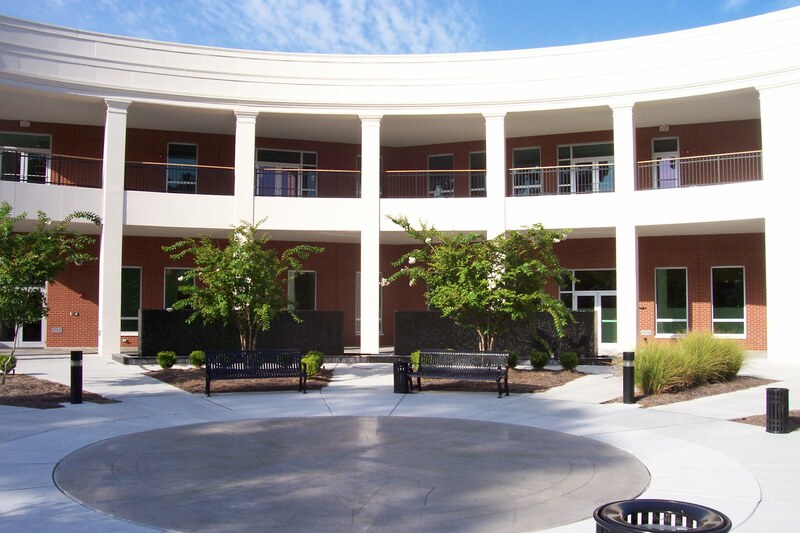 The two story 60,000 square foot building addition to existing facility includes a cafeteria, kitchen, bookstore, meeting rooms, office spaces, ballroom and auditorium. The building design includes many features for LEED certification. This building also includes a 1,200 ton central plant to serve the new building five existing buildings and a future building. The HVAC design included VAV air distribution with chilled water and hot water air handlers. Air handler condensate is used as make up water for two fountains. The electrical design for the building included lighting, power, alarm and communications. The existing main electrical service equipment was removed and replaced with a new system to support the existing structure and the new addition. The service was comprised of two new service entrances 480 volt and 208 volt 3 phase, 4 wire system. The lighting system consisted of T8, T5 and compact fluorescent lamp systems. Fluorescent dimming systems were included to support conference, ballroom, auditorium and dining facilities. An addressable voice evac system was included to support the new and the existing structure. The existing fire alarm system was removed. The communication system consisted of data rooms, fiber and copper CAT6 wiring distributed through out to support voice and data outlets. New fiber was extended to the existing demarcation point across campus through existing duct system. The existing is 15KV loop fed exterior primary distribution system was modified and added to support a mechanical plant and building load additions.